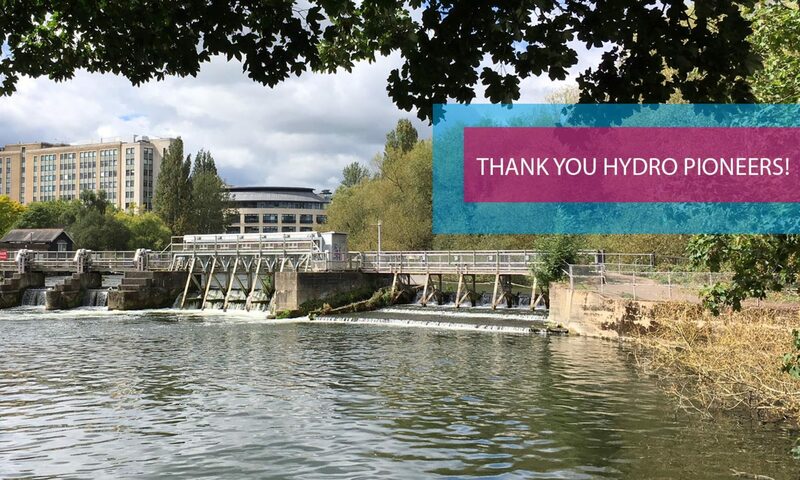 We’re excited to announce the launch of our Pioneer Share Offer for Reading Hydro CBS. This is an initial investment round to support the early stages, including outline design work to ensure the viability of the project. You can support and invest in Reading Hdyro here! We have got as far as we can supported by initial grants from the Reading Climate Change Partnership and the Department of Energy & Climate Change (now BEIS). All alongside countless hours from the support and work of our wonderful volunteers and growing community (that’s you). IF YOU’RE INTERESTED TO FIND OUT MORE, INVEST IN SHARES, OR SUPPORT IN WHATEVER WAY YOU CAN, THEN PLEASE READ MORE ABOUT OUR PIONEER SHARE OFFER ON CROWDFUNDER.